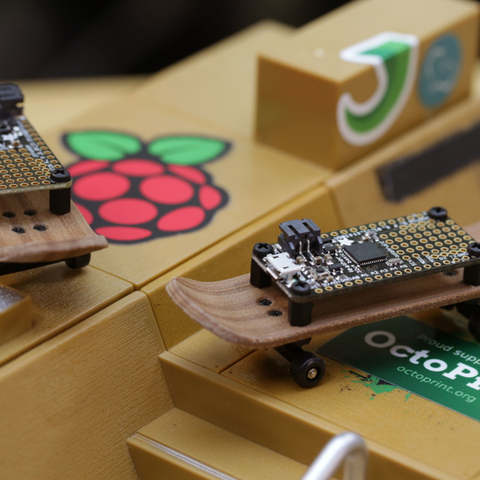 This is a 3D printed fingerboard specifically designed for the Adafruit line of Feather boards. 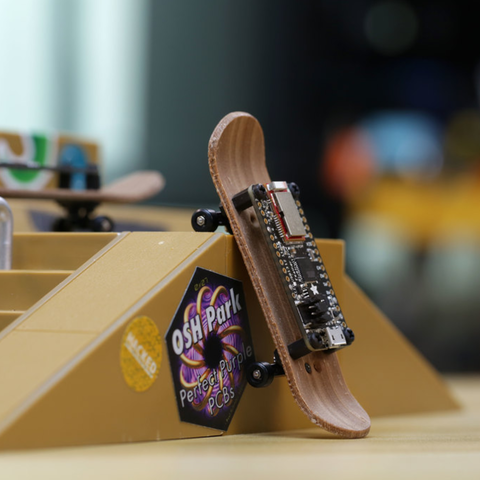 It's similar to a standard fingerboard but features special mounting holes for installing an Adafruit Feather. 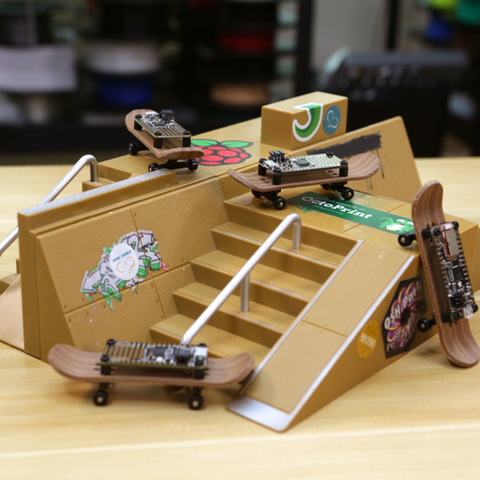 The deck was 3D printed using ColorFabb's PLA/PHA bambooFill. This material is 70% colorfabb PLA and 30% recycled wood fibers.